Shop at the Toronto Premium Outlet mall for tonnes of Pre Boxing Day Canada 2013 Sales and Deals! Be sure to check out Hot Topic's Pre Boxing Week Sales! 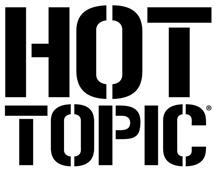 Enjoy Buy 1 Get 1 50% Off All items in Hot Topic! The item that is 50% off must be of equal or lesser value than the first item. This Pre Boxing Day Canada Sale is valid at Hot Topic from December 20th through December 23rd 2013. Check out Hot Topic's Pre Boxing Day Canada Sales and Other Stores at the Toronto Premium Outlet Mall here.